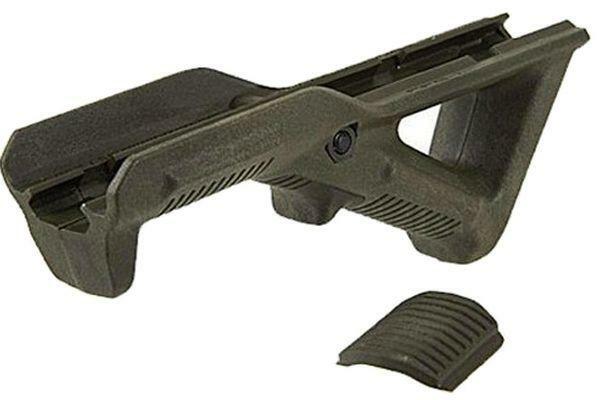 Magpul Angled Rifle Foregrip |ReplicaAirguns.ca | New Website! Comments: For faster and more accurate shots, upgrade your weapon with the Magpul Angled Rifle Foregrip. 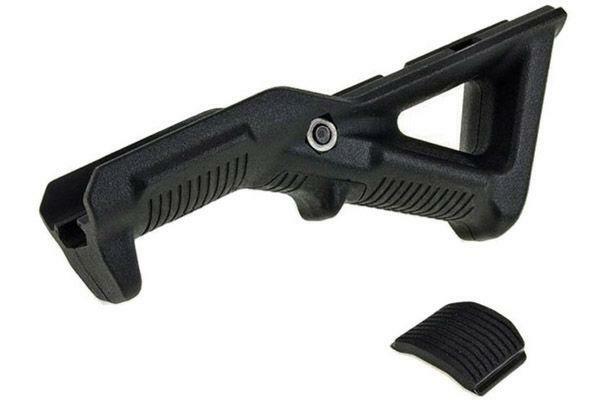 This heavy duty polymer grip makes it easy to control your weapon, even with strong recoil action. By positioning the shooter's hand high on the centerline of the bore, it takes into account natural ergonomics and reduces hand fatigue. Measures 141 mm (5.55 inches) in length.